What if property is damaged before settlement? This article explores the legal position of a purchaser and vendor when a property that is the subject of a sale is damaged after exchange of contracts but before settlement. The information in this article is equally relevant to both parties involved in a residential conveyancing transaction. The time that risk passes between a vendor and purchaser is the key to determining the parties’ rights if the property is damaged between exchange of contracts and settlement. The Conveyancing Act 1919 (NSW) (the ‘Act’) provides that risk for a residential property under contract does not generally pass to a purchaser until the contract is completed. This means that vendors are responsible for any significant damage to the property and should therefore retain insurance until settlement. The purchaser then takes the risk from the date of settlement. The exception to this rule is when a purchaser takes early possession of the land. Possession of the land means an entitlement to occupy the property (through licence or otherwise) or to receive rent from the property. In these circumstances, the risk passes to the purchaser and vendors should insist on evidence of adequate insurance cover. It is also recommended that parties to enter into a licence agreement which sets out the obligations of the parties and confirms the transfer of risk. Part 4 of the Act sets out what happens if a property is substantially damaged between exchange and completion. The determination will turn on whether risk has passed to a purchaser and if the damage is considered ‘substantial’. 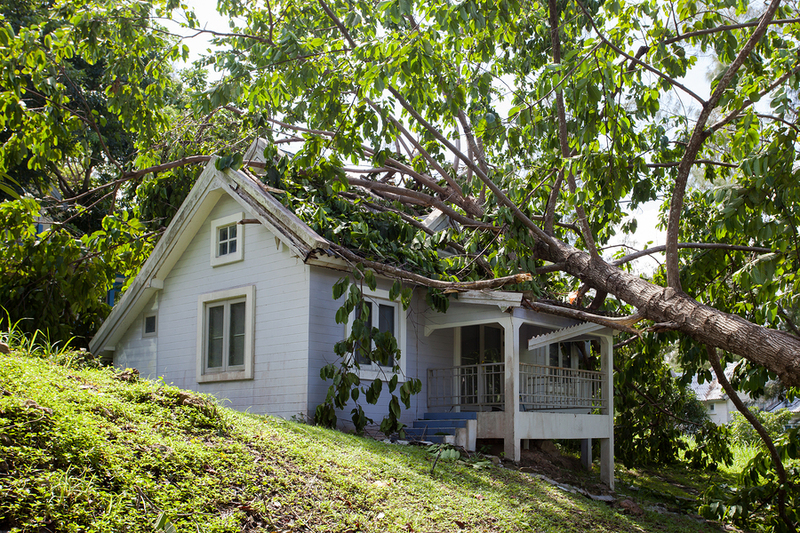 The Act defines substantial damage to land as damage that renders the land materially different from that which the purchaser contracted to buy. Land includes buildings and other fixtures. An example would be severe damage that causes a house to be uninhabitable. Section 66L provides that a purchaser may rescind a contract if the land is substantially damaged before the risk passes to the purchaser. Generally, a purchaser must give the vendor written notice of rescission before completion and within 28 days of becoming aware of the damage. The purchaser’s statutory right of rescission in the event of substantial damage to a residential dwelling cannot be modified by provisions to the contrary in the contract. The effect of rescission is that the deposit will be refunded to the purchaser and the parties will be relieved of further obligations under the contract. An exception to this is any liability incurred by a party from an earlier breach of the contract or adjustments due for any benefit the purchaser has received arising from early possession of the land. If the damage has been caused by the purchaser’s negligence, then there is no entitlement to rescind. If land is damaged between exchange and completion, whether substantially or not, the Act provides for a reduction of the purchase price which may be adjusted on settlement. The price reduction should be ‘just and equitable in the circumstances. If a price reduction cannot be agreed and is not made on settlement, then the purchaser will have a right to recover an amount as a debt after completion. This, of course, is not ideal and to avoid delays, the parties may agree to proceed to settlement and retain a portion of the purchase price in the agent’s trust account pending resolution of the matter after completion. If land is substantially damaged, and the purchaser does not wish to rescind, the Court may refuse to force a vendor to complete a contract (specific performance) if it is unjust and inequitable to do so. In such matters, the Court may order the repayment of money to a purchaser and give any other directions considered appropriate. For example, if a house under contract is completely destroyed by fire, it may be onerous to force a vendor to complete as they would need to claim on insurance to have the house totally re-built. A vendor is required to provide ‘vacant possession’ of the property on completion. Subject to any provisions in the contract to the contrary, the property should have all items and furniture removed and be in the same or similar condition and state of repair as when it was sold to the purchaser (on exchange of contracts). Claims for ‘damage’ do not encompass matters considered to constitute ‘fair wear and tear’. Most contracts include special conditions that specifically prevent a purchaser from making a claim for compensation, or delaying settlement, for these things. The passing of risk and the determination of ‘substantial damage’ affect the rights of the parties to a contract after exchange and prior to completion. Vendors and purchasers should be aware of these rights and ensure insurance is maintained and inspections completed before taking possession or prior to settlement.